Tobias Stretch. 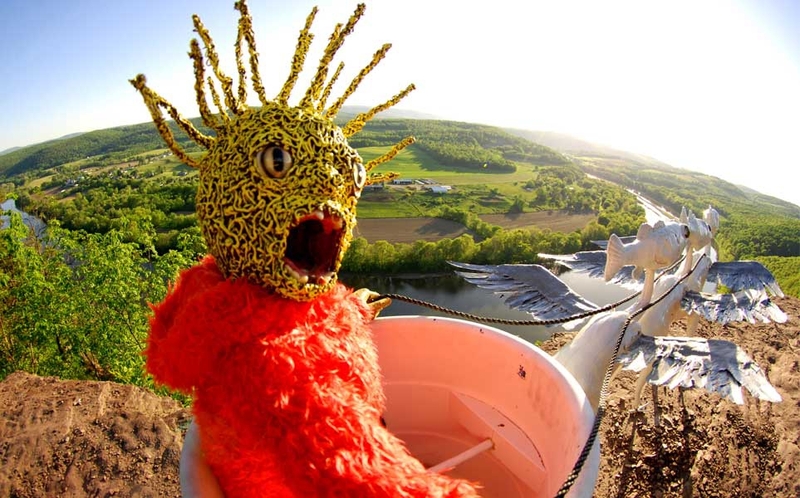 Puppet created for Radiohead's 'Weird Fishes' video. Discover a menagerie of musical instruments, watch songs come to life through video and animation, and view prints and paintings that blur the boundaries between sight and sound. Spalding House's summer exhibition explores the kinship of music and art. See the Radiohead video Weird Fishes alongside two of the puppets Tobias Stretch created for the video. "Play" air as part of Pas de Chocolat's ingenious interactive installation that uses motion sensors. Includes works by Joan Miró, Wassily Kandinsky, James Whistler, Onchi Koshiro, Harry Bertoia, Jean Charlot, and Peter Chamberlain.